ENDORSEMENTS - a section for each chapter dedicated to the endorsements covered on the exam. There are over 100 endorsements that you need to memorize on this exam. This is one of the most important aspect of the CPCU® 555 exam. 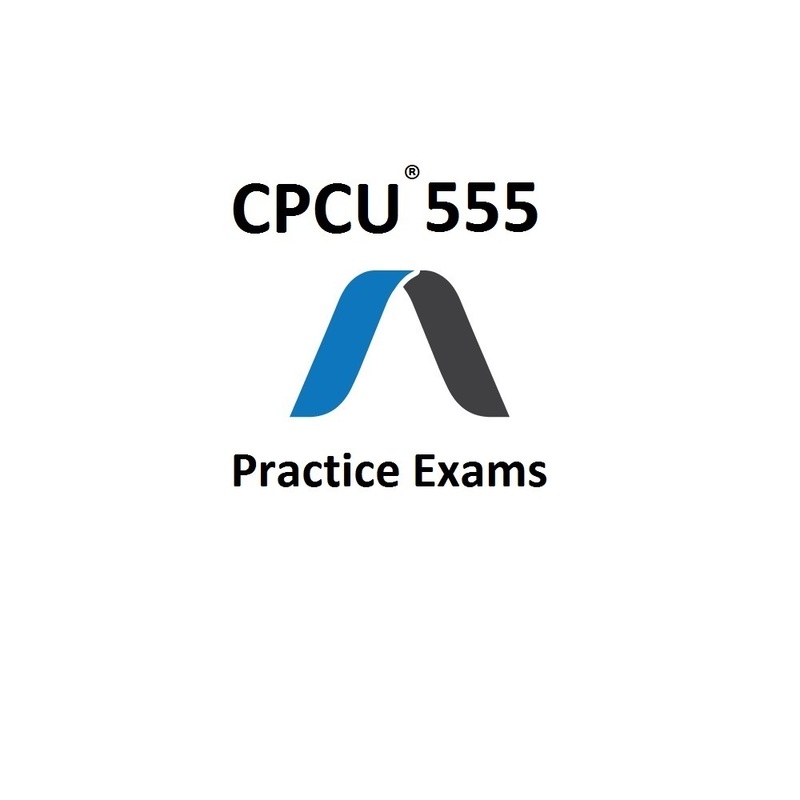 2 COMPLETE PRACTICE EXAMS - 85 questions each, formatted exactly like the actual CPCU® 555 exam (with the same number of exam questions) to give you a "real exam feel". ENDORSEMENTS - a quiz for each chapter dedicated to the endorsements covered on the exam. There are over 100 endorsements that you need to memorize on this exam. 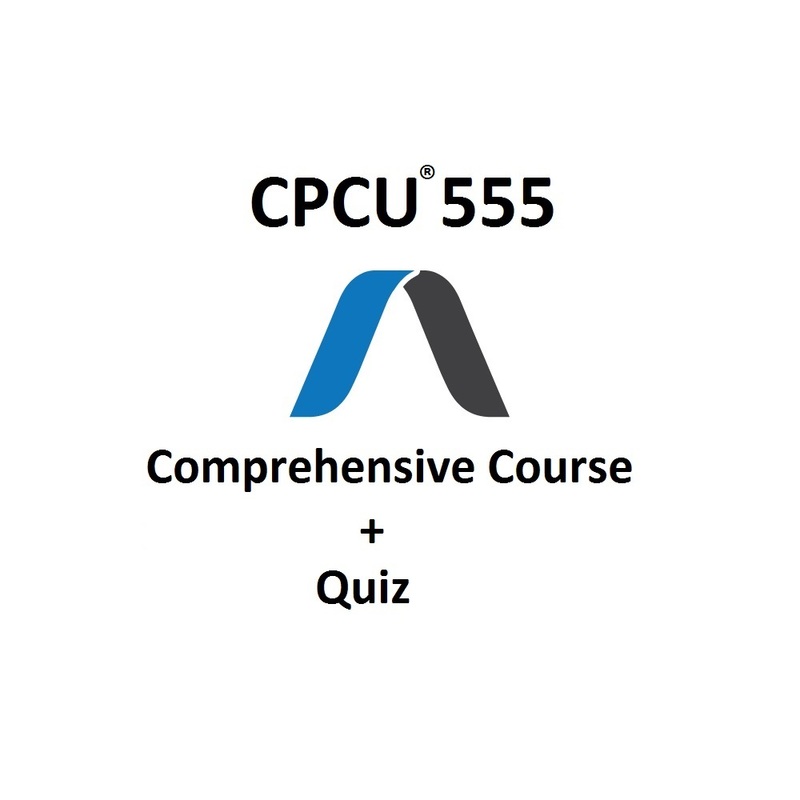 This is one of the most important aspect of the CPCU® 555 exam. 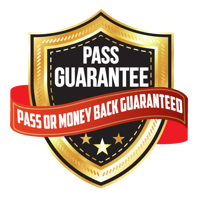 COVERAGES - a quiz for each chapter dedicated to the insurance coverages on the exam, such as the homeowners insurance coverages and auto insurance coverages. This is one of the most important aspect of the CPCU® 555 exam. REAL EXAM FEEL - quiz questions designed to mimic the actual CPCU® 555 exam to give you a "real exam feel" and fully prepare you for the type of questions you will see. 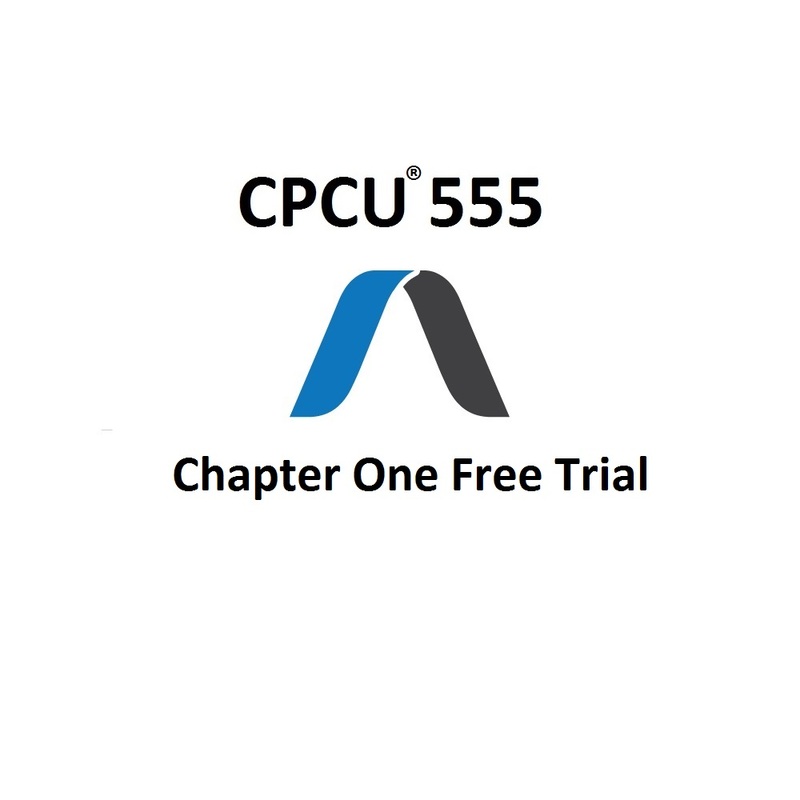 Free access to chapter one of the CPCU® 555 Comprehensive Course. 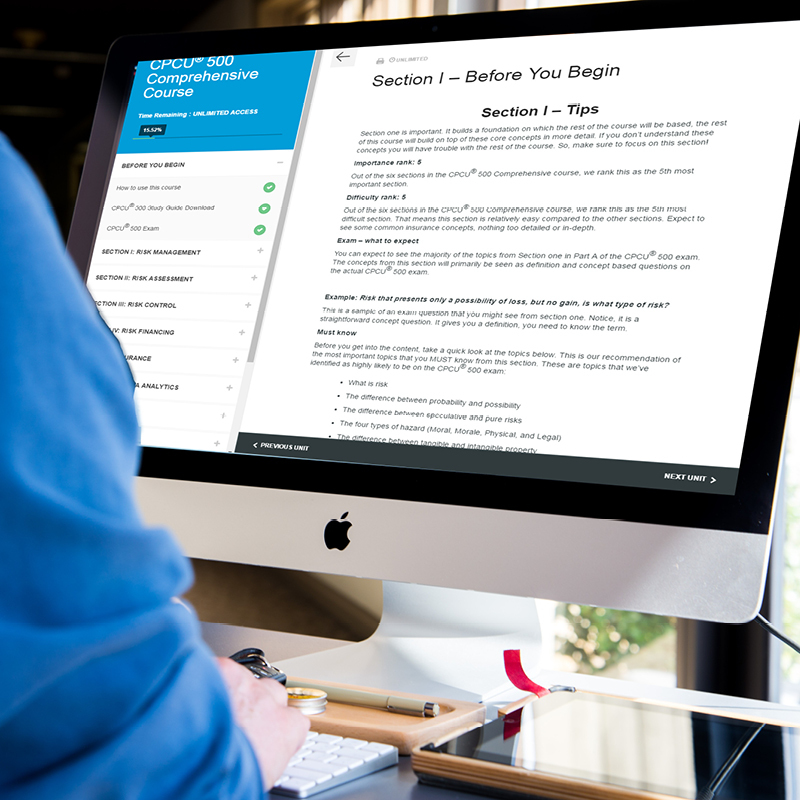 This free trial course will cover the first section of the CPCU® 555 exam. This chapter is a snip-it from our CPCU® 555 Comprehensive Course, it will only cover chapter one. This course will not cover all of the material needed to pass the CPCU® 555 Exam. COMPLETE CHAPTER ONE ONLINE COURSE - covers everything from chapter one of the CPCU® 555 exam. Designed for faster, easier studying. Completely online and downloadable as a PDF for those that would rather print a physical copy of the course. COVERAGES - a section for each chapter dedicated to the insurance coverages on the exam, such as the homeowners insurance coverages and auto insurance coverages. This is one of the most important aspect of the CPCU® 555 exam. FREE COURSE - this course is completely free. You will receive full access to chapter one of the CPCU® 555 Comprehensive Online Course.